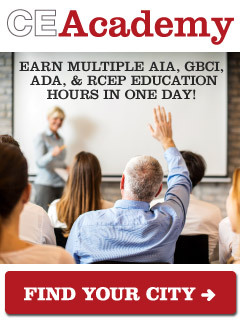 Our sister site GreenCE.com provides free LEED specific hour courses, GBCI courses, AIA education, and free LEED exam prep. Design professionals can learn about Health Product Declarations (HPDs), Environmental Health Product Declarations (EPDs), net-zero design, and the Living Building Challenge. In addition, GreenCE offers ADA architect courses to meet California and Texas Barrier-free requirements. The free LEED exam prep course includes a free LEED Study Guide, LEED practice exams, Study Sheets, and 8-hour audiobook. GreenCE offers free LEED specific hours for LEED professionals to obtain their mandatory CE hours. LEED APs and LEED Green Associates can take our free LEED specific hours and premium courses taught by industry experts. LEED APs can earn LEED specific hours that contribute to various specialties such as: BD+C, O+M, ID+C, Homes, and ND. LEED APs and LEED Green Associates can take free GBCI CE hours on the GreenCE platform. The free GBCI hour courses are sponsored by building product manufacturers and cover many CSI divisions. Architects can earn their mandatory ADA hours and Barrier-Free hours for California and Texas on the GreenCE platform. Course topics include: accessibility, access compliance, ADA standards for accessible design, universal design, 2010 ADA Standards, and disability access requirements. GreenCE offered the first no-cost LEED Exam prep in the country. Architects, engineers, interior designers, contractors, and students can use our free LEED exam prep as a resource to prepare for the exam when trying to obtain their LEED credential. The Free LEED exam prep includes: a free LEED Study Guide, LEED practice exams, Study Sheets, and 8 hour audio book. Design professionals can participate in free AIA education webinars on the GreenCE platform. All GreenCE webinars qualify for GBCI general hours and some also award IDCEC hours. Webinars are sponsored by building product manufacturers and include many CSI divisions. 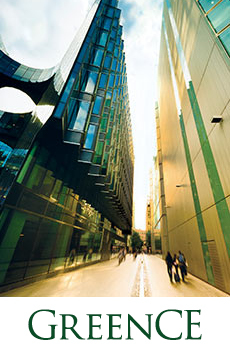 Visit GreenCE.com to find online anytime, lunch and learn, and webinar courses that offer sustainable topics.